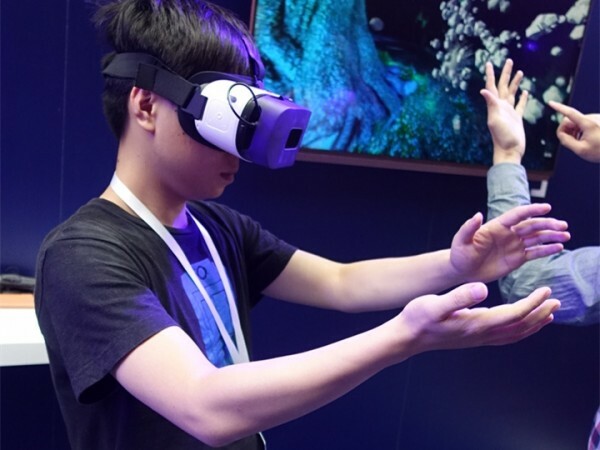 Baofeng Mojing, the world’s leading virtual headset manufacturer, has released a new viewer that incorporates Leap Motion gesture control. The Baofeng Mojing 5 Plus was announced at a press conference in Beijing yesterday, along with the Baofeng Mojing 5, which does not have the Leap Motion controller. Both headsets have a built-in trackpad like the Gear VR, and connect to the smartphone via USB. The field of view is 96 degrees, same as the Gear VR, and, just like the Gear VR, it has additional built-in sensors. It works with any late-model Android smartphone with a screen size of 4.7 to 5.5 inches. It is not yet available for sale, but is expected to be priced at $80 for the Baofeng Mojing 5, and $145 for the 5 Plus. 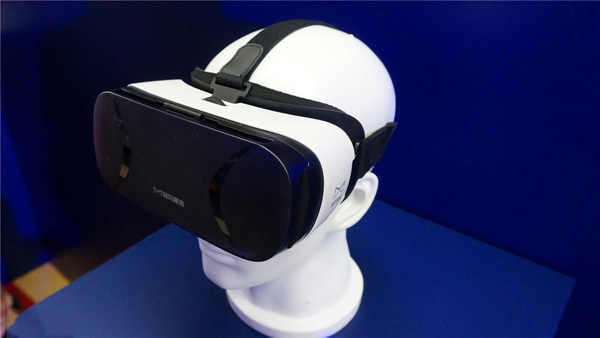 The company has also upgraded its virtual reality application, which allows users to navigate to different apps and videos without taking off the headset. It’s not clear yet as to how well the set will work with other Google Cardboard applications, and whether it will be Daydream compatible. Another Chinese company, Pico, recently released a headset with a Gear VR-style trackpad, but the trackpad only works with the company’s own app, which is mostly in Chinese, and was very disappointing. Read more about the Baofeng Mojing announcement at GeekBuying and at UploadVR, and thanks to this Reddit thread for the heads-up.